For the seventh straight year, Hazard Communication has rounded the corner at the #2 spot on OSHA’s Top 10 Most Cited Violations list. Chemicals pose serious health and safety hazards, and the proper safety information and instructions for use are often severely lacking when it comes to chemicals found in the workplace. If you work with or around hazardous chemicals, it’s your right to know. 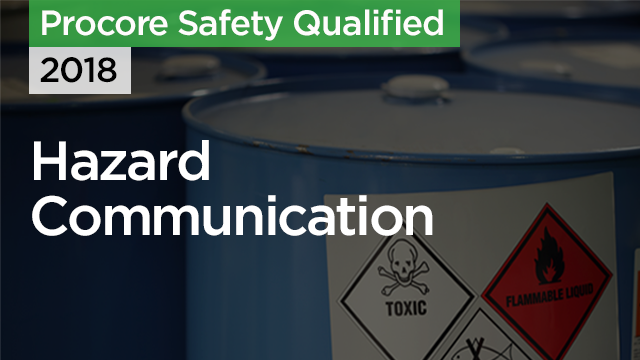 Understand how OSHA defines a chemical as either a health or physical hazard. Recognize the dangers associated with various chemicals often found in the workplace or used on the job. Learn techniques for preventing exposure to hazardous chemicals. Learn how to properly inventory, label, and store chemicals in your workplace.